It’s been over a week since my last post, 2018 has picked up it’s heels and is moving fast already. On the 10th I had my first CGOA Board meeting and I came out of that realizing that I have a lot to learn about and a lot to do in the next few months. I also have a number of design projects with deadlines coming up soon. Funny how deadlines in 2018 seemed so far away back in early December, but now they are breathing down my neck. I’m looking forward to sharing these designs with all of you soon. In the meantime you can find my latest pattern the Morning Walk Earwarmer in the February Issue of “I Like Crochet”. 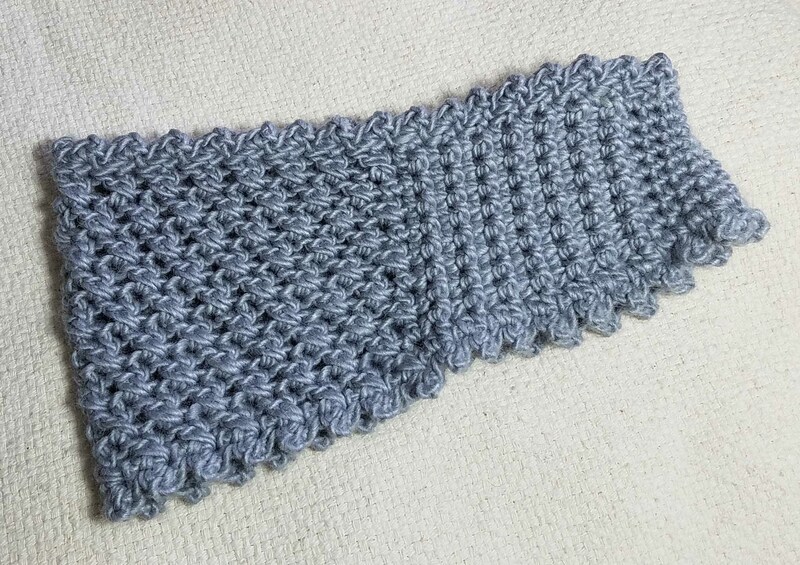 This is a fun quick-to-crochet project that uses different stitch heights to create a narrow to wide shaping. Earwarmers are especially handy headgear for folks with long hair. They can serve double duty as a hairband as well as keeping the chill off your ears. I wanted to create an earwarmer that had a little extra thickness over the ears as well as some flexibility in fit. 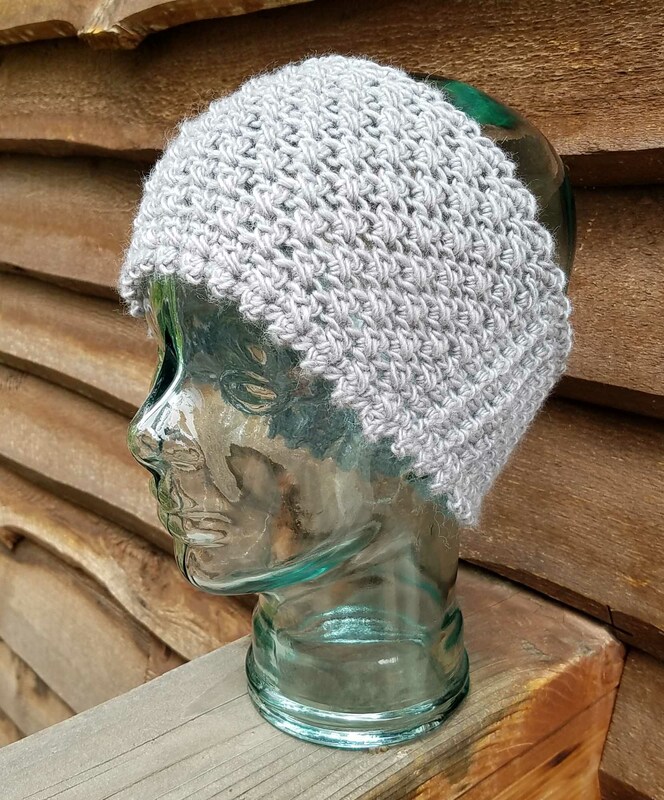 The widest part of the design is a textured stitch with a little bit of open work, then it narrows into ribbing that fits snugly over the ears. Both the top and bottom opening have textured stitch work to create a soft face flattering edge. I’ve also been doing some clearing of the clutter in my yarn and fiber stashes. 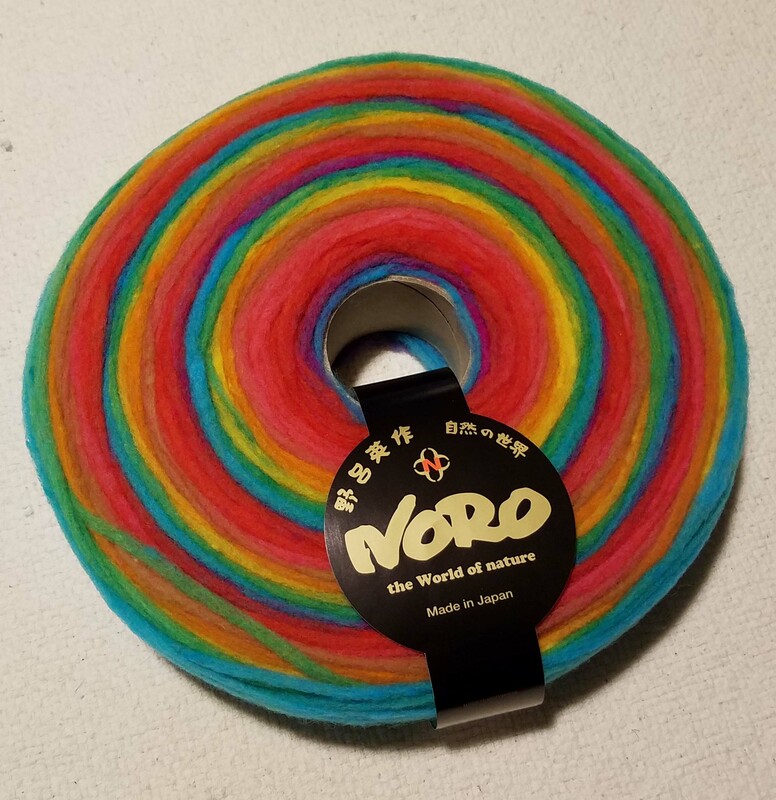 I had purchased this fun Noro product last summer. It isn’t really yarn but a very narrow piece of fiber without any twist. That means it tends to break easily and I’ve been using bits of it when doing needle felting projects. I decided the other day that it would be good to felt in the washing machine because of the lack of twist. I spent about 6 hours carefully crocheting the remainder of the original roll into a rectangular piece of fabric. 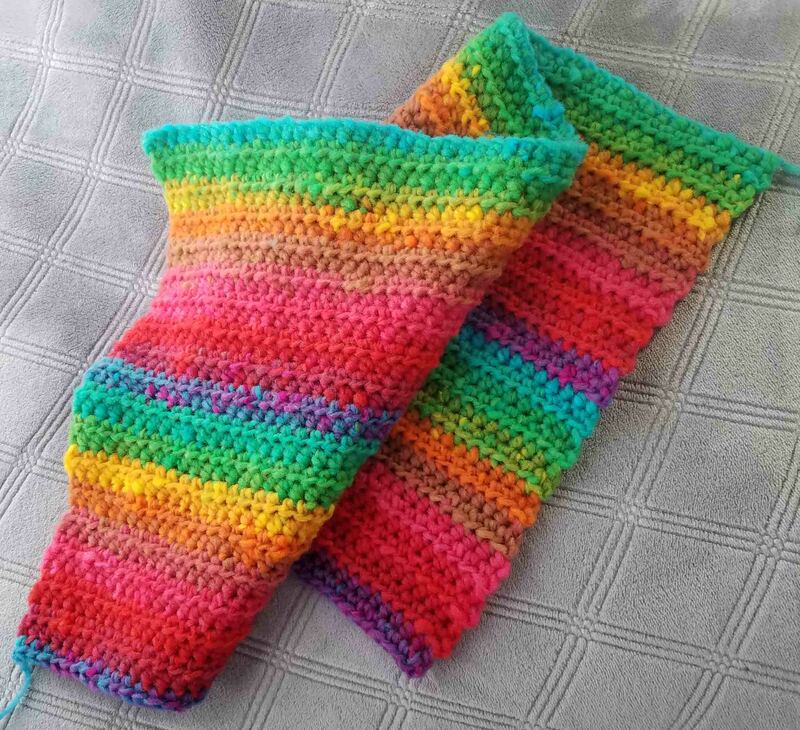 I used half-double crochet stitches worked in rows. This was a good brainless crochet project when I was watching shows and movies with my boys during the evenings and weekend. 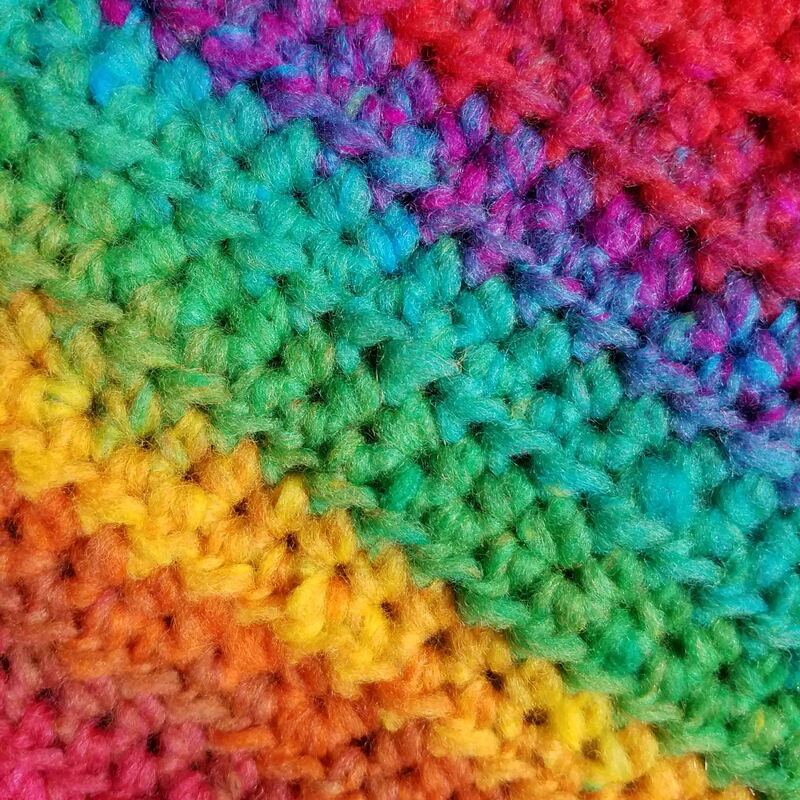 I like having something to crochet that is the same stitch over and over where I can keep my hands busy without a great deal of focus. It was also entertaining to see how the colors were going to come together, something I always love about working with long color changes. My current plan is that the felted fabric will become a bag of some sort, but it will depend on how much shrinkage I get and what happens with the colors when I finish the felting. It could possibly become the background for a needle-felted painting.